Windows 10 is about to arrive, and as you may be aware, Microsoft is making changes to the way Windows Update works in the new OS, with the company forcing updates to be installed for users of Windows 10 Home – but the latest news is that there is a workaround of sorts to avoid updates you don't want. With previous versions of Windows, you've always been able to choose whether to have updates automatically downloaded and applied, or to select which updates you want to install as and when. 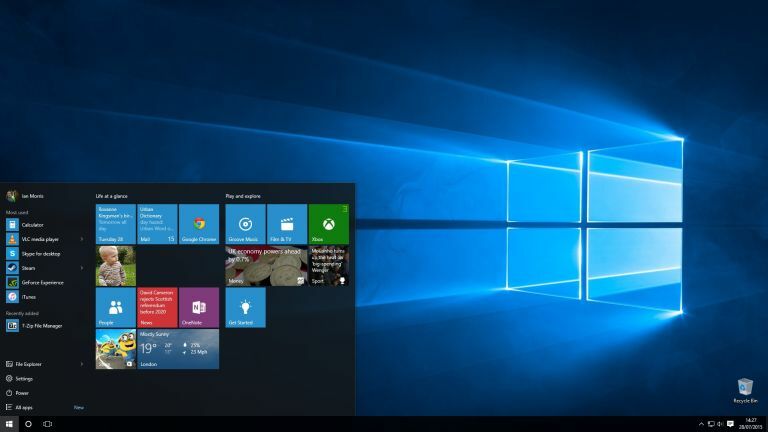 With Windows 10 Home, however, Microsoft is forcing automatic updates to ensure the user base is always running the latest patches and security fixes, to keep the desktop OS as watertight as possible across the board. Basically, it's a move which sacrifices freedom for tighter security, although there have been plenty of displeased Windows 10 beta testers grumbling about updates which have been piped through straight onto their machine, and have then caused trouble (new graphics drivers can be particularly troublesome). The interesting news, as ZDNet reports, is that there is a troubleshooter package for Windows 10 (KB3073930) which when downloaded gives users the option of hiding or blocking updates. What this means is that if Windows automatically installs an update or driver which subsequently causes issues on your system, you can uninstall that update, and then KB3073930 will allow you to hide the problematic patch from Windows so it won't ever attempt to install it again. So yes, this is a pretty clunky way of doing business, and hardly as convenient as having total oversight over which updates are installed – but it's at least something to turn to for those hitting problems. It'll be interesting to see if this forced update policy is something Microsoft will eventually do a U-turn on – perhaps for driver updates anyway, which are the most likely candidates to cause strife on your PC. At least the good news with Windows 10 is that there's far more to look forward to than dread.